Thought this would be an appropriate first post cause I am a much better cook than brewer. They are two skills that go together really well. I love authentic ethnic cooking. 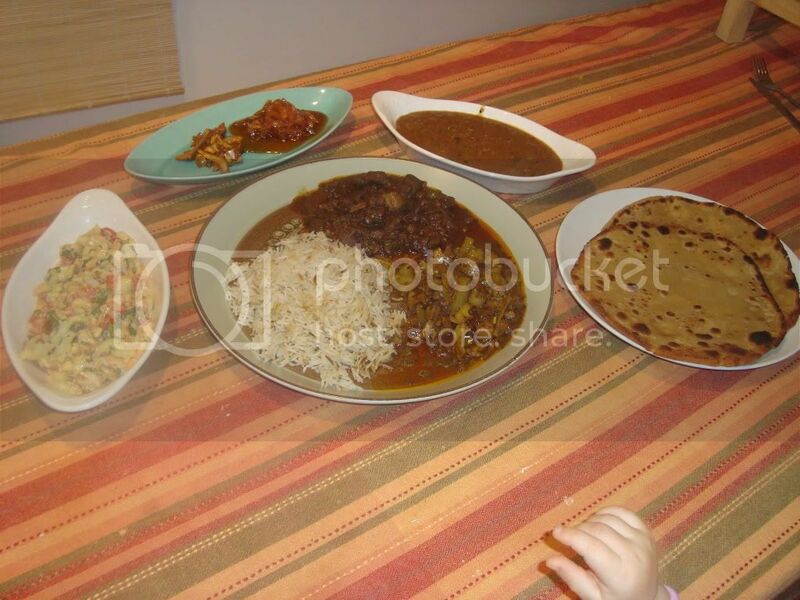 Here is an Indian feast that we put out last night. Anybody out there like Indian food? Ill post some recipes later. 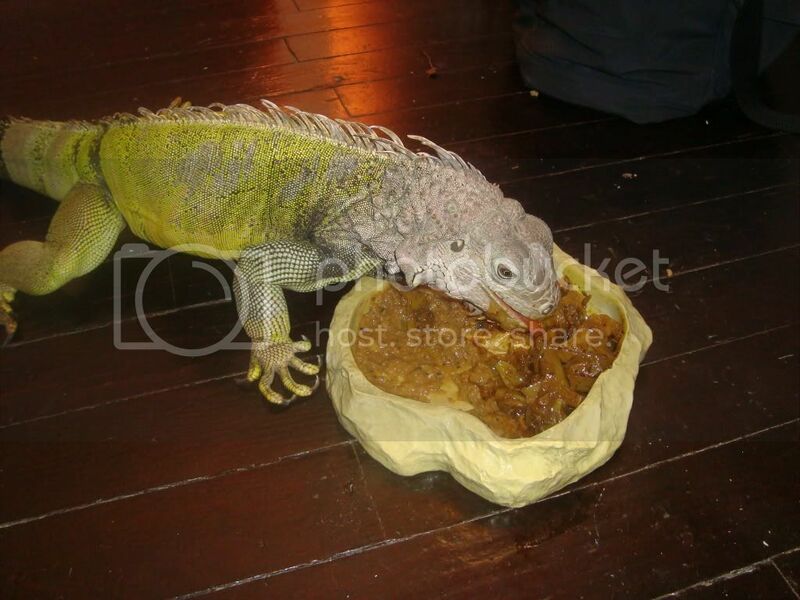 My Iguana really loves Indian food. Hey Cap. Even tough we're opposites (I'm a better brewer than cook), nice to see you here. Almost all of our meals are ethnic in one way or another. Since I am married to an Italian and it is also my favorite food we have a lot of authentic Italian. I make a really mean Risotto. I make a lot of fresh pasta. My wife makes the best spaghetti gravy on the planet. 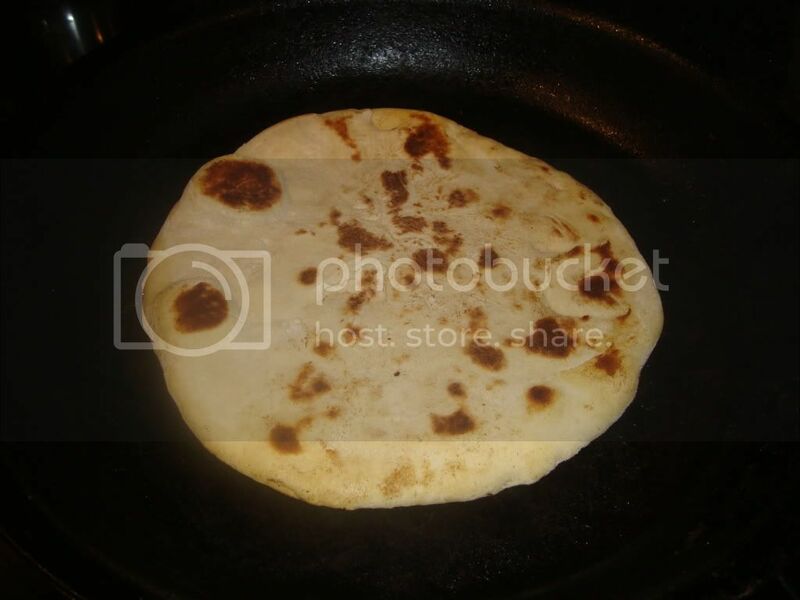 I also cook a lot of authentic Mexican food. Peurco Guisado, re-fried beans, and mexican rice is a favorite of ours. And even though I am a transplant Yankee I can boil shrimp, crawfish and crabs with the best of them here. BTW, the wife just told me I am cooking the Mexican Pork dish tomorrow but I am going to make corn tortillas and we are going to shred the pork and eat it as a taco with home made Guacamole. We have a large Mexican population in our town so we have numerous Mexican grocery stores and I can get almost any thing I need for a Mexican feast. Forgot to add, I make my own sausage and Boudin as well. Me to, we are I guess what you call "Foodies" here. We rarely cook or eat any "normal" American foods. I subscribe to numerous cooking magazines and get a lot of inspiration from them. About all I watch on TV is the food channel and cooking shows on PBS. I have tons of kitchen gadgets that help one do the job right and I have a kitchen knife fetish and have numerous Japanese kitchen knives. Sounds like we're cut from the same cloth. I was very disappointed when Gourmet announced that they would no longer be publishing after November. That was one of my favorite cooking mags. Any chance giving me some details on that pork and beans? Smurfe, That stuff looks great. Looks like I am in the right place . I would love to hear more about the sausage!!! Have you done any curing or drying? Made some Greek food tonight. Lamb Soulvaki to be exact. 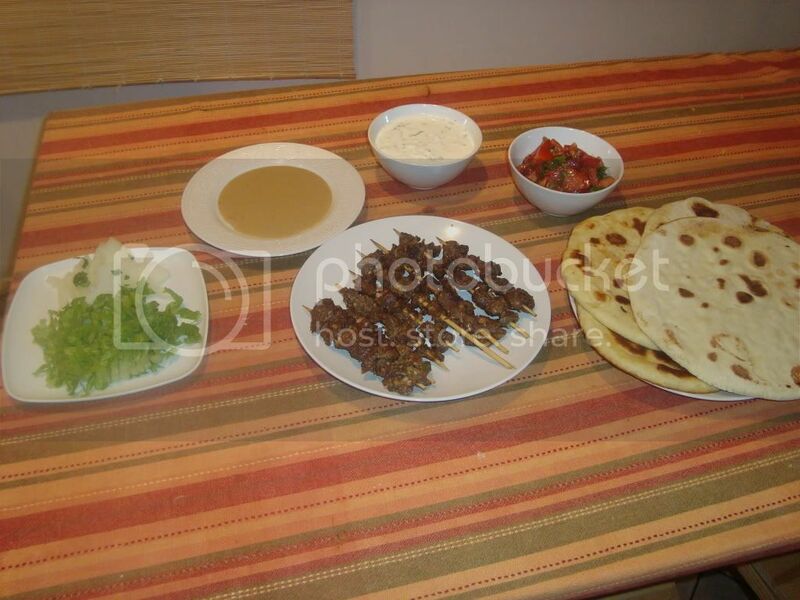 With home made pita bread. Marinated pounded lamb chunks in a mixture of olive oil , garlic, salt, pepper, oregano, fresh parsley, lemon juice for about 24 hours than grilled them over some lump charcoal. 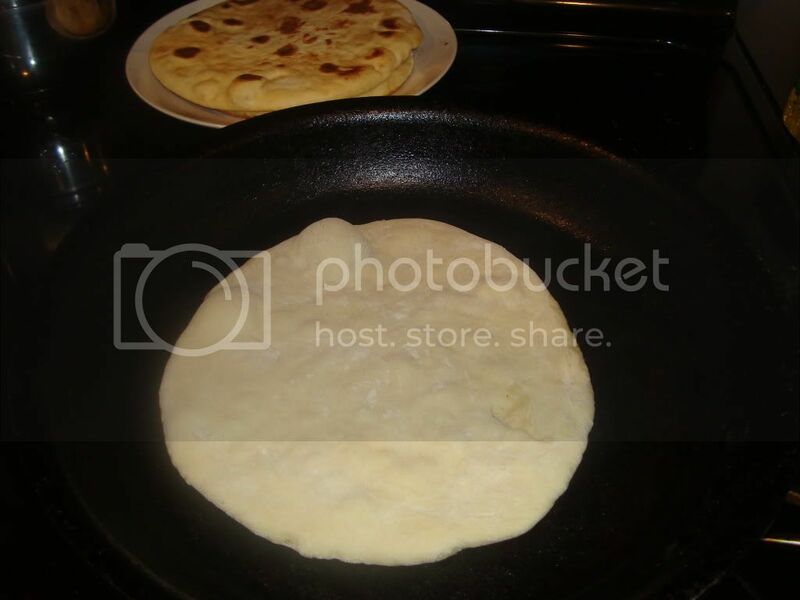 For the pita bread. first I made a yeast starter with about a tablespoon of yeast and a half cup of milk. The milk is 90 degrees and I also add a pinch of sugar to get the little buggers going. With about three cups of bread flour in the kitchen Aid I add the yeast starter two eggs and a teaspoon of salt. Mix till a nice semi dry dough forms. then form it into six or eight balls and set them out on a floured board covered with a damp towel to rise. 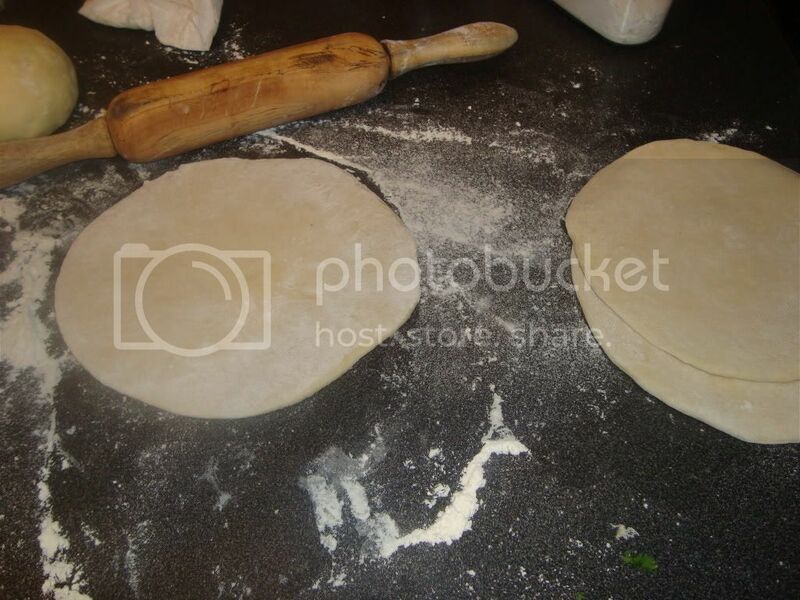 After it has risen, roll the dough out to the desired width. The dough should be no more than 1/4" thick. Heat up a large skillet over medium high heat and wipe it with a little cooking oil. Cook the bread on both sides being careful not to burn it. Turn it frequently. I love Greek food. Its a no nonsense simple less is more type of cooking. Meat and fire, what more do you need? So, are we abandoning the old site guys? It has seemed to have gotten pretty boring there. Pork or goat would work great. Boulder, Jamaican curried goat is fantastic! If you remember that recipe from the thread in the old country. If not I could post it again here. Boulder, you could cook your goat like they do in this video. All you need is a shovel to dig the hole. Looks like I have to wait until spring to dig a hole. I'll look for that recipe. Any idea on what page? I cant find that curried goat recipe in the old thread. Take about two pounds of goat meat (bones included) you can seperate the bones from the meat but include some cause they add lots of flavor. Two scotch bonnet peppers (you can use any hot peppers to substitute) or leave them out if you dont want it hot. two tblspoons of chopped fresh ginger. 1/2 lb of 1" cubed potatoes. 1 can creamed coconut milk. In a blender or food processor add the onions, ginger, scallions, salt pepper, hot peppers, and heprs. Add some of the coconut milk and blend till smooth. 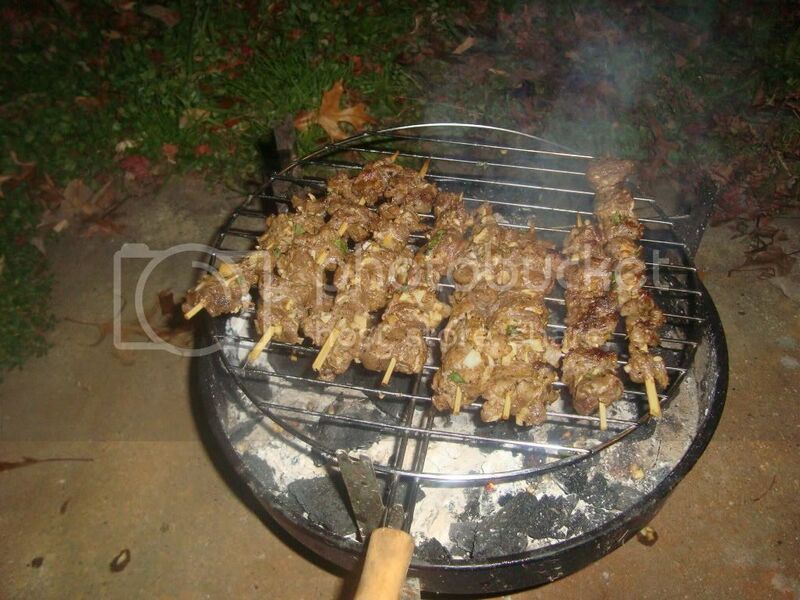 Cut the goat up into small pieces and rub the blended mixture into the meat. Let it marinade in the fridge over night. 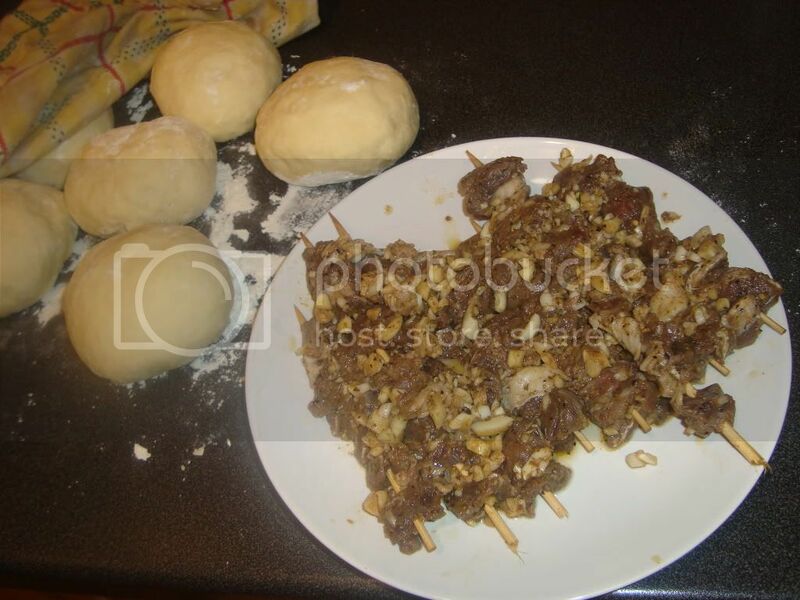 When cooking remove excess marinade from the meat and set aside for later. Add some butter to a skillet and saute the meat till lightly brown. 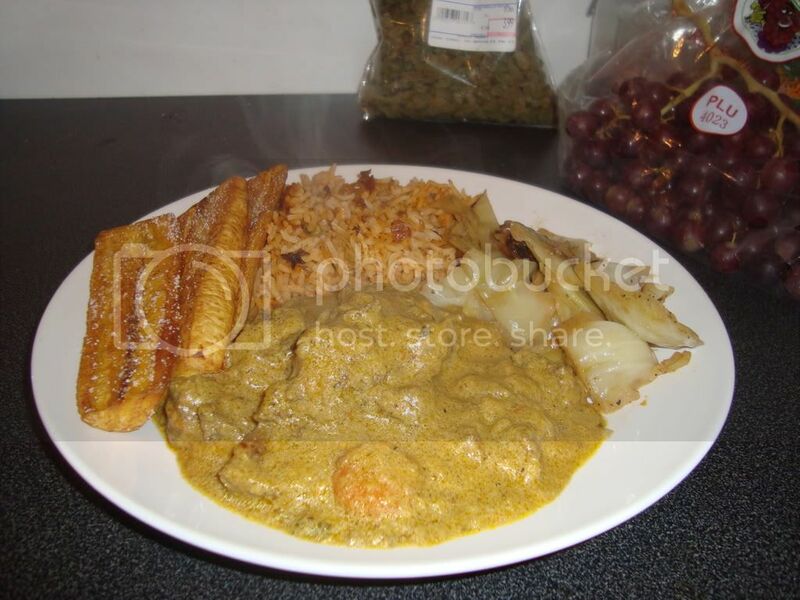 Serve with fried rice and peas, fried plantains and stewed cabbage.